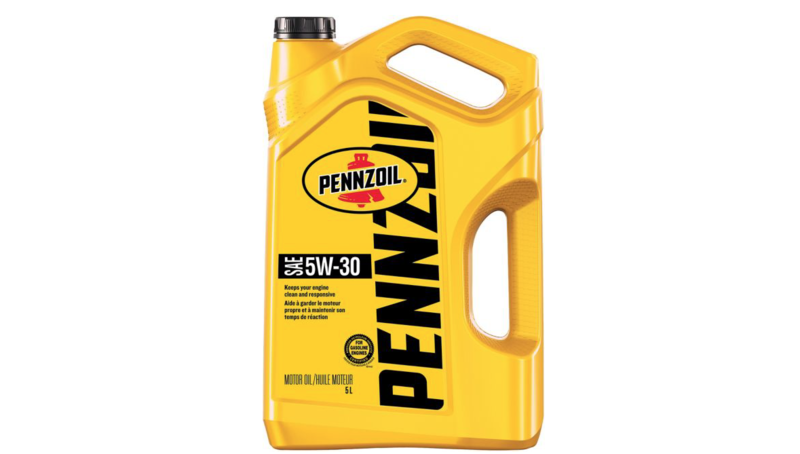 * Pennzoil Conventional Engine Oil is fortified with Active Cleansing Agents™ to continuously prevent dirt and contaminants from turning into performance-robbing deposits, which helps to keep your engine clean and responsive. * Cleans out up to 40% of sludge in the first oil change, and keeps cleaning all the way until your next oil change - based on severe sludge clean-up testing using SAE 5W30. * Meets standards of Ford WSS-M2C946-A/WSS-M2C929-A, Chrysler MS-6395 and GM 6094M (SAE 5W-30). * Also meets standards of Chrysler MS6395 and GM 6094M (SAE 10W-30). * Meets service fill requirements of most Toyota, Nissan, Honda, Subaru, Hyundai, Kia and other Asian made vehicles.